Bloomberg on Wednesday highlighted yet another strike against Detroit: Its high insurance rates. Detroit has the country’s five most expensive car-insurance ZIP codes, with an average yearly rate of $5,000 — more than $400 a month — Bloomberg reported, citing CarInsurance.com. Twenty-one percent of drivers in Michigan are uninsured, and there’s likely more in Detroit. 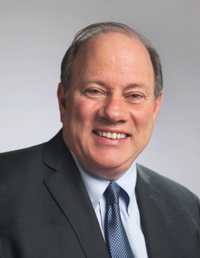 Mayor Mike Duggan promised to start a city insurance agency, and the city just OK’d $7,500 to study that idea, according to a Michigan Chronicle article. Bloomberg noted that the high Detroit vehicle theft rate and Michigan’s “no-fault” auto insurance (which covers unlimited medical care and up to three years of lost wages but does not cover collision damage unless the victim vehicle is parked) create hurdles to lower insurance costs. Though steps to improve insurance accessibility would presumably benefit the collision repair industry, it seems implausible that a city that just got out of bankruptcy would be able to subsidize insurance. Government-run insurance could also create administrative headaches for shops (ask a doctor about dealing with Medicare) or force repair rates below the market.